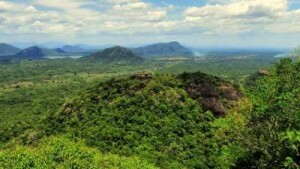 Yakkuragala was an isolated mountain with height situated in Dambulla area in between Dambulla-Matale (A9) and Dambulla-Bakamuna (බකමූණ) roads. As it has no archeology or historical importance, no body tries to climb it. 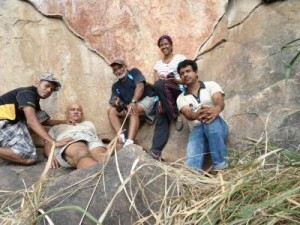 Locals only visit there to pluck “Gal Siyambala”. Later I knew they also miss their return pathway once they reach the mountain. 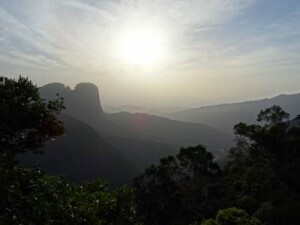 Villagers believe “Yak Ura’s” (‍යක් ඌරා)-Devil Pig’s footsteps can be seen on the mountain. Therefore it is called Yakkuragala. But actual Yakkuragala is situated closer to the main Mountain. 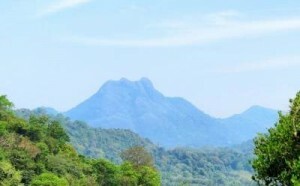 Konduru hela is a prominent peak in the east which could be seen easily from Arugam bay to Akkareipattu. Some people even mistake this as Thoppigala. 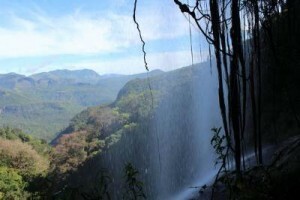 It is located at one of the most isolated and unexplored area called Komari (Panama proposed) forest reserve. I had been eyeing on this peak for a while and during my previous visit I met a local guy called Ran banda who promised to help me if needed. Nalanda Rock (Arangala) is situated at Arangala-Naula with the height of 782m. It’s distance view is shape of an ear ring (Arungala (අරුoගල) ->Arangala අරoගල) gave the name Arangala. 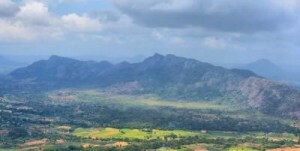 This isolated mountain is best seen when you travel from Dambulla to Matale via A-9 road, once you reach Naula bus stand. It has three peaks which makes the shape of an ear ring. As there was a long week end and (earlier months we were mostly abroad), we decided to explore the vicinities of Ranapura. 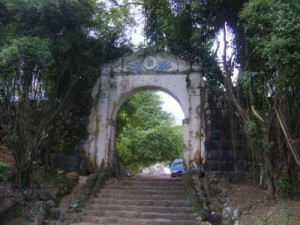 We like many have been passing the town many times but not seen its historical and other important places. With my wife and son and daughter joining us with her husband and two kids we started off towards Ratnapura on 30July afternoon after lunch. We booked the Deer Park inn close to town to stay the night over. Someone asked one day what was I really liked to see. I had no hesitation answering that question. Waterfalls, I declared confidently. But, I added, I’m not that choosy when it comes to traveling. Almost everything from Waterfalls to Mountains to Archeology and Paintings is appealing to me. I’m very much a cosmopolitan traveler. 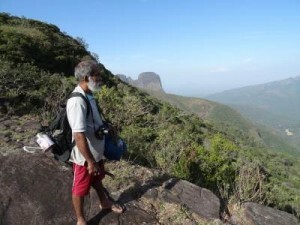 When Ana said that he would be visiting Kurullangala, I readily agreed to join forces. 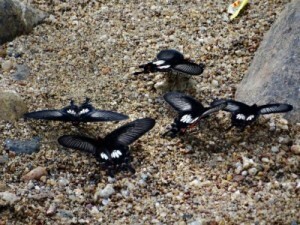 Kurullangala has been a very hot topic ever since it was discovered by the Swallows’ Nests Poachers. Afterwards one of the media group went and videoed the place rousing the curiosity of the nature lovers and environmentalists. As a result many people (well not as many as you think but a good number of them), including the archeological department, took the trouble to visit the place. If you still haven’t come across what Kurullangala is, lemme give you an overview. 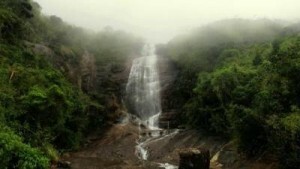 Matale district is blessed with number of beautiful waterfalls. 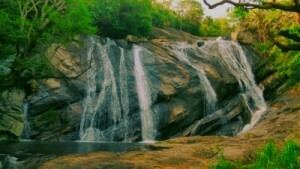 Waterfalls in Bambaralla and Riverstone are most popular. 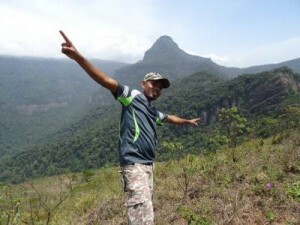 Following waterfalls are situated closer to Matale town, still have got less attention.